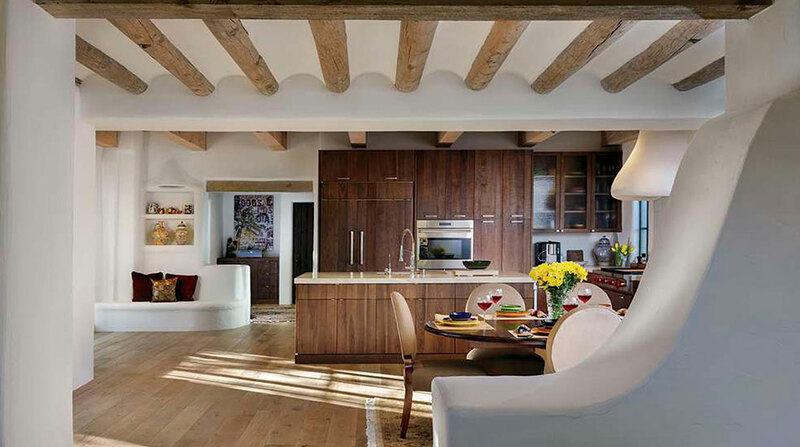 Designed by architect Clint Miller, this North Scottsdale adobe casita has the character and design of an early Arizona ranch. As a building material, adobe has been around since man first sought shelter. 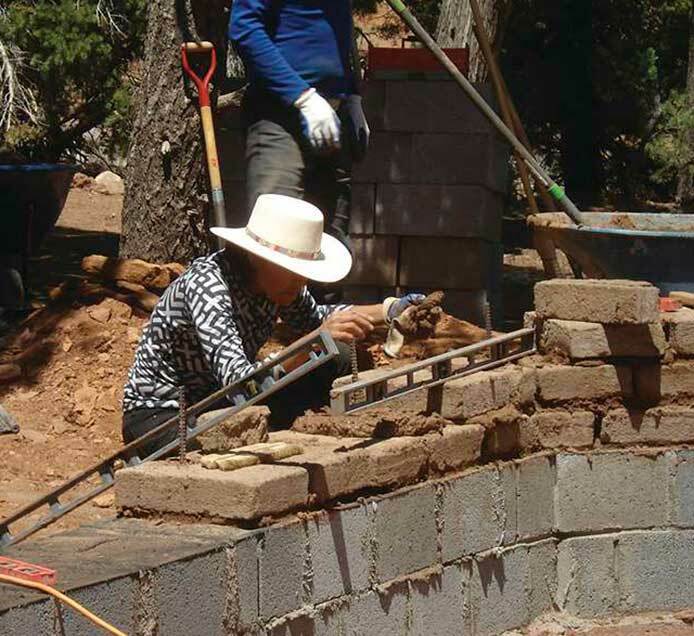 On a project overseen by earthen building educator Kirk Higbee, workers build a Navajo hogan, or small house. The bottom two rows comprise cement blocks, which provide a strong foundation and protect the adobe from ground moisture. 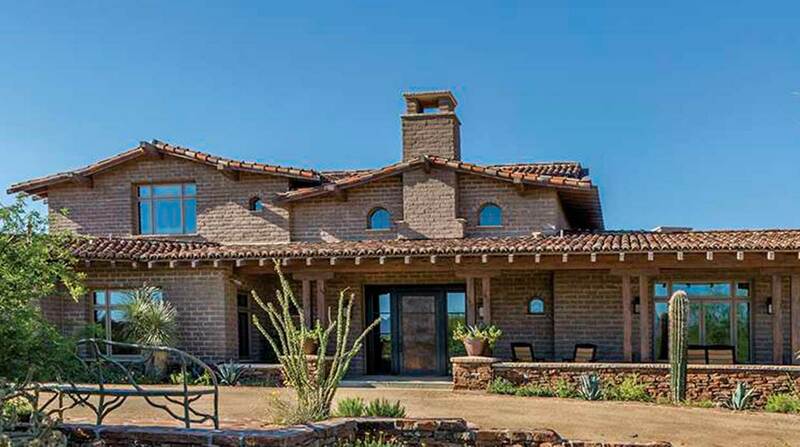 Warm in the winter and cool in the summer, adobe can be a smart, energy-efficient choice for desert homes because of its relatively high thermal conductivity. “Heat is kind of lazy,” says Higbee. “An exterior wall heats when the sun hits it. That energy moves slowly through the wall toward the cooler interior.” When the sun sets and temperatures drop, the process is reversed. 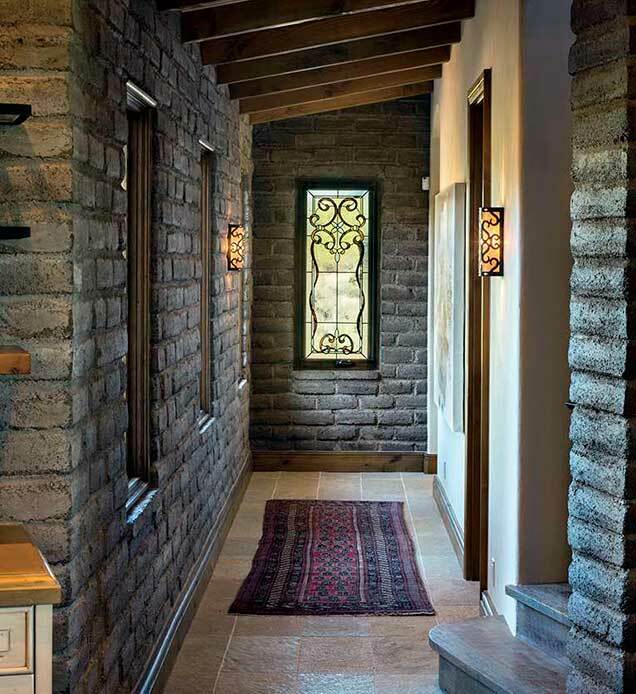 Standard adobe bricks are 16 inches thick, but Higbee notes that to combat the extreme summer temperatures in the Valley, walls can be as deep as 19 inches. Double-wall construction with space between is an additional temperature regulator. “Traveling inward, the heat will hit that dead space and can’t go any further,” he explains. Since prehistoric times, the recipe for adobe has remained basically the same. Today, bricks made in the U.S. come in two commonly used types—asphalt-stabilized and Portland cement-stabilized. 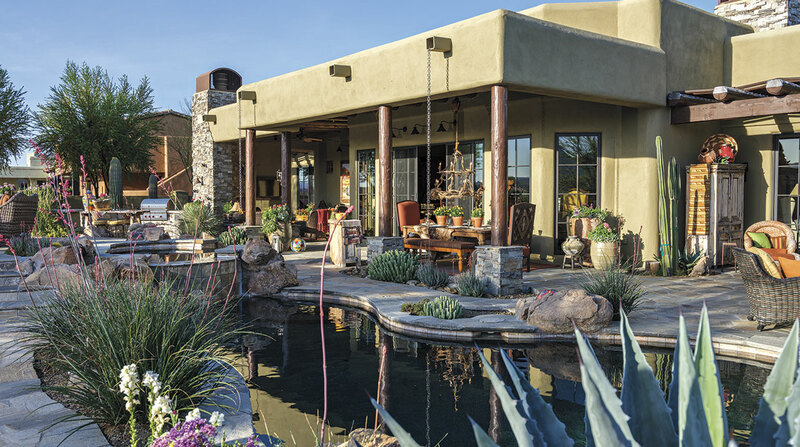 Asphalt-stabilized is a block that architect and Phoenix Home & Garden Masters of the Southwest award winner Clint Miller has used for more than 20 years in Valley homes. It performs well in our triple-digit climate and possesses the rich russet color that attracts so many enthusiasts. 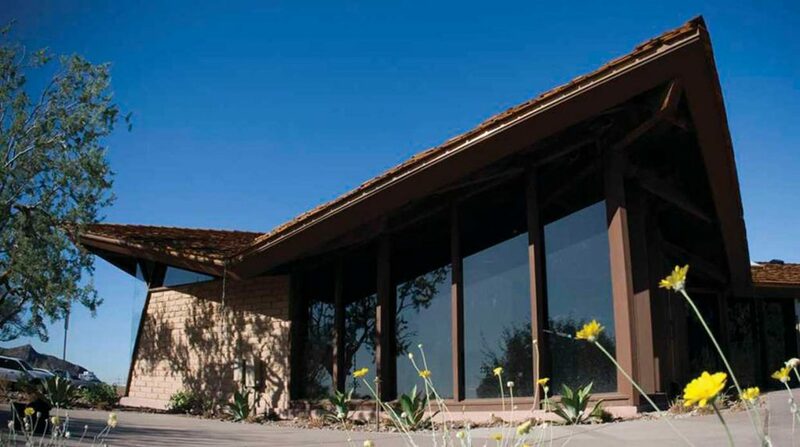 Lighter in color, Portland cement-stabilized adobe has become the common choice in the Tucson area. It is available in many modular sizes, which eases the construction process, and has less erosion on the face of the block from wind and rain. Miller cites cost as a possible deterrent for some homeowners who might consider adobe, noting that a mass earth structure can run as much as 20 percent more than its wood-frame counterpart. But Higbee posits that any differential can be a boon. “From an economic standpoint, where does that additional 20 percent go? Not for transportation or for subsidies on lumber. It’s going back into the local economy. 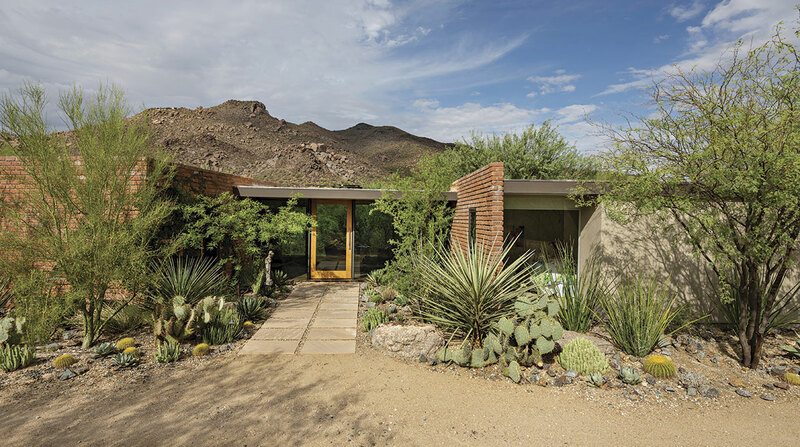 Saved from demolition in 2009, Justice Sandra Day O’Connor’s historic 1950s adobe home was relocated to Papago Park, where it was lovingly restored, brick by brick. What does the tomorrow bring for a material that has been around for almost as long as humans have? Miller is optimistic. “The architectural community feels very strongly about sustainable block and materials that are very green and renewable. Using less forested lumber and more foam and cement composites,” he says. “We think that is the future.